Do you know how to perform CPR or the Heimlich Maneuver on a cat? How about which plants are toxic to felines? 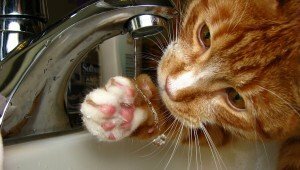 There are certain things that all cat owners should know to keep kitties safe. The Italian Coast Guard found an unconscious kitten floating in the sea. They used CPR techniques normally used on humans and managed to save the cat's life.